Baltimore is the largest city in Maryland and one of its populous cities. It is identified as a prime location for business start-ups and those who want to seize the opportunity for small businesses to grow. As a matter of fact, a lot of small businesses found huge success in starting small businesses of different niches. But how does this happened in a city like Baltimore? John Hopkins University wrote a press release on how Baltimore supports small business growth. Want to learn the secrets? Read the article below to learn more. 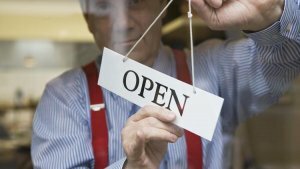 Follow the Money: How Does Baltimore Support Small Business Growth? Baltimore, a city with clear economic assets and competitive advantages, should have a more robust financing system to cultivate a range of startups and small businesses, concludes a new report by Johns Hopkins University’s 21st Century Cities Initiative. The report titled Financing Baltimore’s Growth: Measuring Small Companies’ Access to Capital, found that for small businesses to flourish, they will need to secure more venture capital and working capital loans. Without this critical capital, businesses – from Main Street shops to tech startups – might never take off or grow. Even worse, they might leave Baltimore for a place where there is more financial support, depriving the local economy of jobs and economic growth. As it is, about 30 percent of companies launched at some of the city’s incubators leave Baltimore to find initial capital, the report found. expansion of the range of financial institutions in Baltimore. Having a more robust financial system has helped small businesses in Baltimore to flourish. Apart from this financial system, credible lending programs that are readily available for small businesses. Without these, these businesses will definitely move out of the city and find initial capital in other areas. 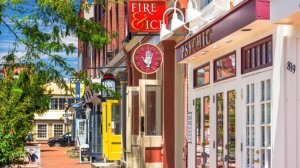 Because of these efforts of helping these small businesses, the city of Baltimore made it to the list of best cities for small business development in an article written by Devin Bartolotta in CBS Baltimore. 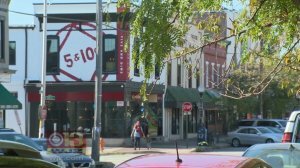 Small businesses are finding success in Baltimore, according to reviews and recommendations website “Yelp,” which analyzed 50 cities nationwide to find the most small business-friendly. Yelp picked 50 cities where they had lots of data and resources on the ground — and Baltimore made Yelp’s Local Economic Outlook List. Charm City is on the map when it comes to attracting and keeping mom-and-pop businesses. “It’s a pretty exciting time for small business,” says Susannah Siger, owner of Ma Petite Shoe in Hampden. Yelp ranks Baltimore 31 out of 50 most business-friendly, right behind Cleveland and ahead of Los Angeles. “We’re in front of big cities like Philadelphia, Boston, Seattle, Portland, Oregon, San Francisco. So to be in front of those big cities like that is awesome for Baltimore City,” says Mayor Catherine Pugh. More than 150 locally-owned shops and restaurants call Hampden home. It’s one of Baltimore’s trademark neighborhoods where small business is thriving. Siger just opened The Sock Shop on the Avenue two weeks ago. “We shop at each other’s businesses, we go to each other’s restaurants. We formed this community of consumers and business owners,” she says. This is an awesome feat for a city not so popular like Baltimore to be part of the best cities for small business development. Great news for those who are planning to start a small business in Baltimore for the growth opportunities in the city is very high regardless of what type of business you venture into. Apart from helping with the sustainable financial system and capital raising projects, Baltimore police also announce a new “safe place” initiative together with the other local businesses, and Jessica Anderson wrote about this story in her article at The Baltimore Sun. Baltimore police announced Wednesday the “Safe Place” initiative to provide victims a place to wait for responding officers after a crime has occurred. The program is a partnership between the department and participating local businesses that place rainbow-colored stickers that read “Safe Place.” Those businesses agree to train employees to call police and provide a space for victims to wait until an officer can respond. “If a victim of a crime enters your business, all your staff should do is call 911” and allow the victim to remain on the property until police arrive, said Sgt. Kevin Bailey, the police department’s LGBTQ liaison, at a news conference announcing the new initiative Wednesday. Sometimes, after a crime on the street, the victim has nowhere to go, Bailey said. “They feel victimized. And it’s just them standing there,” he said. But the sign will let them know they can go into that business and feel safe, he said. If the person chooses to leave, the businesses are just asked to call 911 back and give a description and tell them where the victim went so the police will have time to locate the victim, Bailey said. He said he first learned of a similar program run by the Seattle police department. He traveled to Seattle and met with residents and businesses who praised the program, which was started in 2015. All these crucial information pointing towards a better Baltimore where small businesses are given the opportunity to grow, shine and prosper. With the government offering robust financial systems and other financial institutions offering capital for start-up, it’s only a matter of time an emerging city like Baltimore to prosper and to provide more opportunities for everyone. There are lots of things to know more about the Charm City, from its people, culture, food and business opportunities. To know more about Baltimore and how amazing the city is, visit our page https://www.dependablehomebuyers.com/maryland/baltimore/ for more information about business opportunities in Baltimore.